Chasing a volume target at any expense "is a good way to destroy a company," Samuelsson says. BARCELONA -- Volvo CEO Hakan Samuelsson says that the Swedish automaker has the potential to exceed its goal of selling 800,000 vehicles by 2020. “Yeah, we could probably do that,” he told the Automotive News Europe Congress here. But not at any cost, he cautioned. Volvo sold a record 534,332 vehicles last year and Samuelsson is confident the automaker will set a new all-time high for a fourth consecutive year in 2017. He is bullish because the second generation of Volvo's best-selling XC60 will be arriving at European dealerships this summer and the automaker will debut the all-new XC40, which will compete in the fast-growing compact crossover segment, before year-end. Another key debut this year is the first model from Polestar, which Volvo said would be re-launched as a stand-alone brand that specializes in high-performance electrified models. In the past, Volvo has offered Polestar derivatives of its models. The model that the brand reveals in the autumn will only carry the Polestar badge but it will share its platform and a large portion of its components with Volvo models. 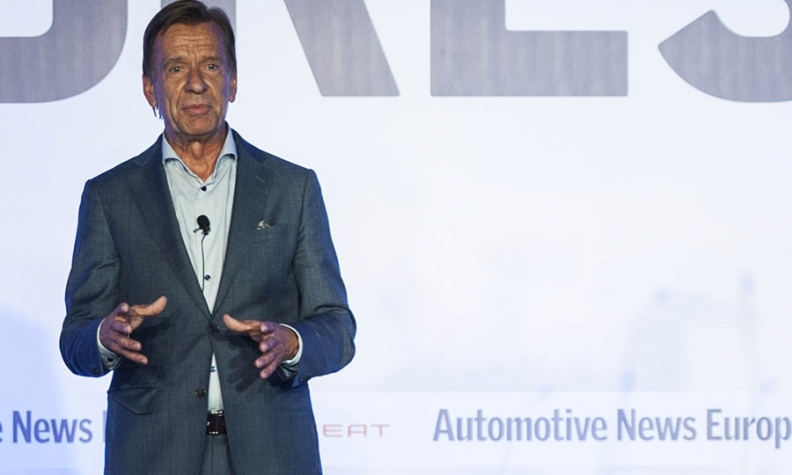 In an interesting twist, Samuelsson addressed the ANE Congress after Ford of Europe President Steven Armstrong, who helped to negotiate Ford's sale of Volvo to current owner, China's Zhejiang Geely Holding Group in 2010. At the time of the deal, Armstrong was Volvo's chief operating officer.